Happy Sunday, Everyone! It is time for new Challenge at Robyn's Fetish and this week's theme is - Add Some Brads and Ribbon. Our sponsor this week is Digital Paper Craft with $12 worth of items from the Digital Paper Craft Etsy Store. 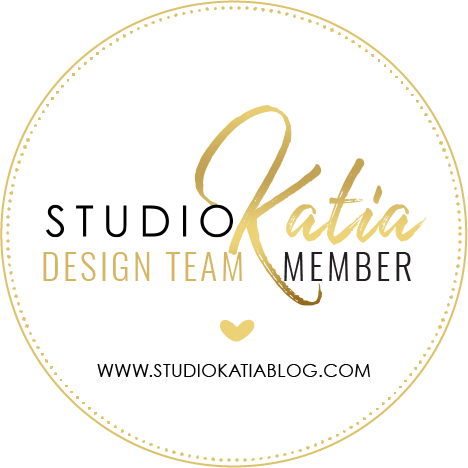 Come check what our Design Team created for your inspiration and join the fun! For my card I've chosen lil Girl Cook 1 image kindly donated by the sponsor. I coloured her with copic markers. I used MME Life of the Party paper set and added two cupcake brads to match my background. I made this for my friends daughter. She's a cute little mommy's helper. I hope she'll like the card. Листівку я зробила для доні своєї подруги. Це третя листівка для тих діток, попередні дві, для старшого братика та молодшої сестрички я показувала в п'ятницю. Ця дівчинка дуже любить допомагати мамі, то ж я обрала для листівки отаку симпатичну дівчинку lil Girl Cook 1. Розмалювала я штампика маркерами копік, а папір взяла від MME, набір Life of the Party. Додала на листівку цвяшки, що пасують до паперу - кексики. I added a crinkled ribbon 3 Girl Jam and used an Easy-Bow (you can win one if you join my giveaway) to have this cute little bow on my card. Thank you for stopping by!! Have a great week! Бажаю вам чудового настрою на весь тиждень!! 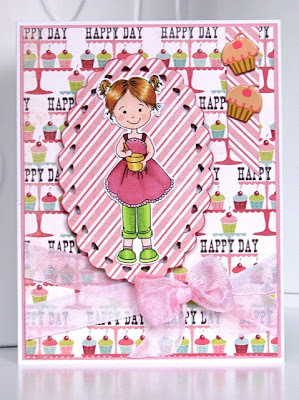 Adorable card Lilia and your backing paper is so cute !! 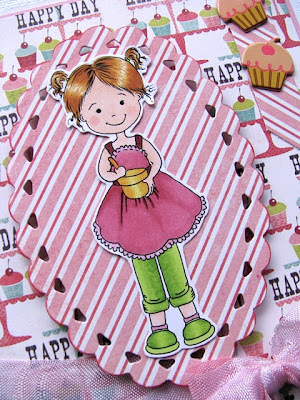 An adorable card Lilia, love the colours. Marlene DT sister. 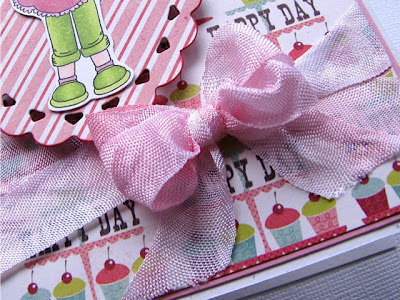 Gorgeous card, love the image and the background paper! какая сладкая лапочка! Она восхитительна!